We’re suckers for great documentaries, and there’s no shortage of them right now. From incredible true-crime podcasts (sup, Serial!) to the latest Herzog masterpiece, Lo and Behold, this really is the golden age of documentary. These films are not only fascinating and beautiful, but they’re creating actual change. Recently Brendan Dassey, one of the subjects of the documentary series Making a Murderer, was released from prison after more than a decade. (He was supposed to serve a life sentence.) Serial’s Adnan Syed is getting a new trial. That’s part of what’s so addicting about the form. These stories make a real difference. They throw their weight around. 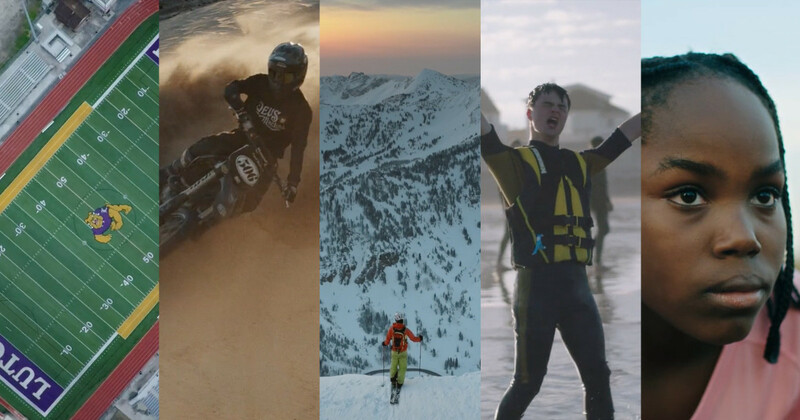 The Vimeo documentaries below are each 15 minutes or less. But even in that short span of time, they all pack a punch. From world-class fencers to mysterious rocket ships, these short docs show us the real world in a fresh way. They open our eyes a little bit. NZINGHA from Anderson Wright on Vimeo. Fencing is about speed, timing, and precision. Anderson Wright’s short documentary NZINGHA operates under the same principles. Named for its subject, American fencer Nzingha Prescod, this film is a moving portrait of a young athlete with her eyes set on the highest prize: an Olympic medal. The voiceover is polished. The cinematography is stunning. All the rough edges of reality have been sandblasted to a high-gloss sheen. Is this a documentary or a Nike commercial? It’s true enough to be the former, slick enough to be the latter. Pause the video at any moment, and you’ll be looking at a piece of art. NZINGHA is quick, relentless, and heart pounding. It goes for the kill. Copycat from Charlie Lyne on Vimeo. Here’s a documentary made without a camera. Made from what sounds like a single interview. Assembled from footage of the very genre it dissects, Copycat is the story of an obscure low-budget horror film that became the uncredited inspiration behind Wes Craven’s blockbuster series Scream. Not only does it offer a great look into an obscure bit of film history, but it’s also a telling parable about the film industry itself — a place where ideas are recycled and remixed so often that it can be hard to tell who is borrowing from whom. This is brass tacks storytelling at its best: a great interview, a compelling subject, no gimmicks. In most documentaries, a theme emerges from the material. 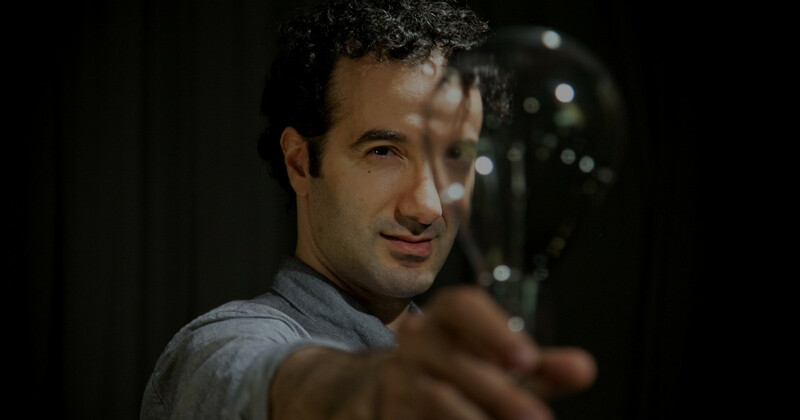 A filmmaker follows someone around or goes somewhere or sets up an interview — and from the raw material of life, capital “M” Meaning is found and refined. Like gold out of a mountain. But there’s another way to do it, of course. The opposite way. Start with meaning. Then go find material to support it. 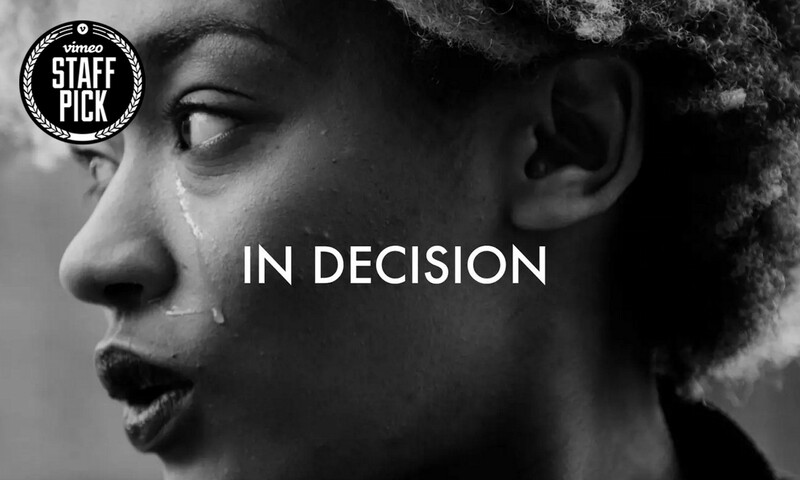 That’s how In Decision works, a beautiful little documentary on the theme of indecision. The cinematography is gorgeous, but it’s the juxtaposition of situations that’s so poignant. One person contemplates their next tattoo, another contemplates pulling the plug on someone they love. Each situation is relatable if only because the theme itself is so universal. Our decisions make us who we are. This film, in its own small way, is about who we are. 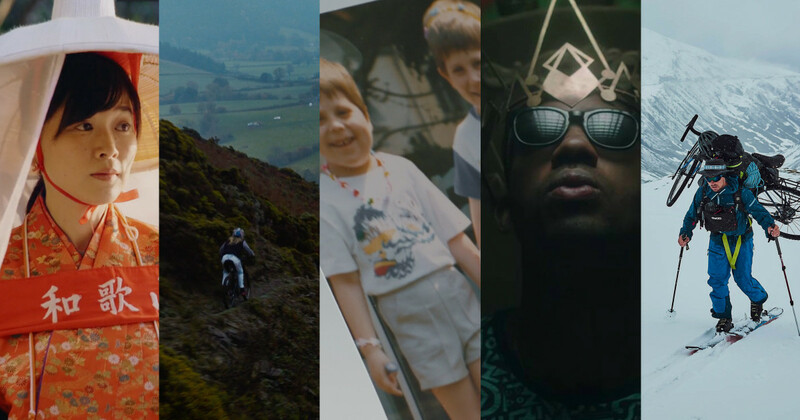 There are two types of documentaries: the ones that show us something we’re already interested in, and the ones that spark a new interest in something we never would have guessed. This film is the latter. The Rocket On The Roof is about exactly that: a rocket on a roof. What’s it doing up there? How did it get there? Is it dangerous? What is this apartment complex hiding? From this simple premise, the film careens wildly out of control. There are clandestine meetings, FBI-esque surveillance, conspiracy theories, and light-to-moderate trespassing. 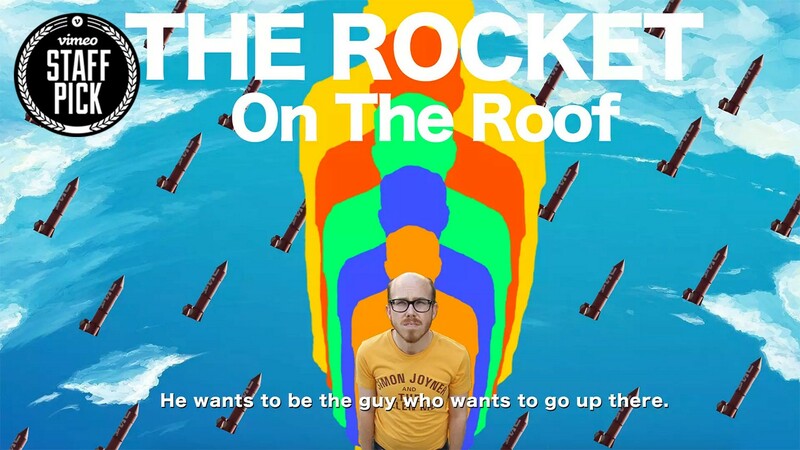 It seems pretty obvious the filmmakers took a few creative liberties here, but we’re willing to let it slide if only because watching The Rocket On The Roof was the best 13 minutes of our day. Mister Sunshine from Loading Docs on Vimeo. In the end, great documentaries always contain great characters. People who demand our attention. People who have something to say not just about their lives but about life itself. Mister Sunshine has a character, and that character is Mister Sunshine, a.k.a. 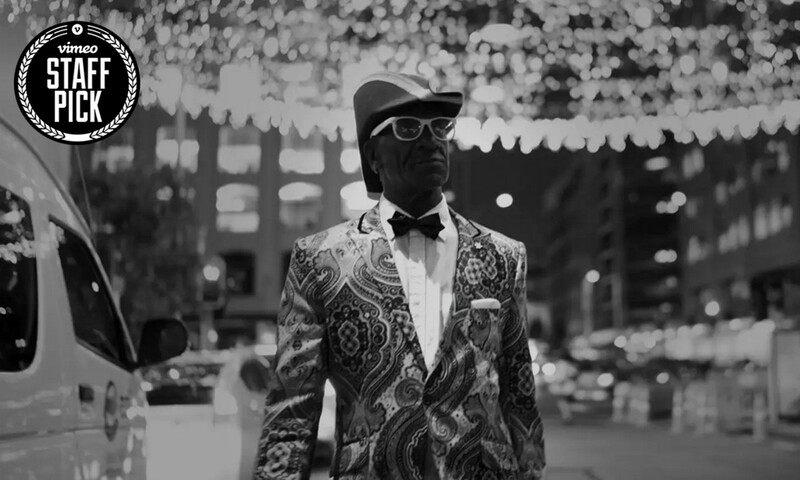 Larry Woods, a millionaire turned shoeshine man who lives his life by a very strict code: “If there’s any good that I can do, or any kindness that I could show, let me do this now, for I shall not pass this way again.” Mister Sunshine is bright, loud, intrusive, wise. You can’t look away. These are our five picks, but there are so many amazing true stories out there, it’s possible we left out a few thousand. What’s your favorite short documentary right now? Link it below so others can discover it too.